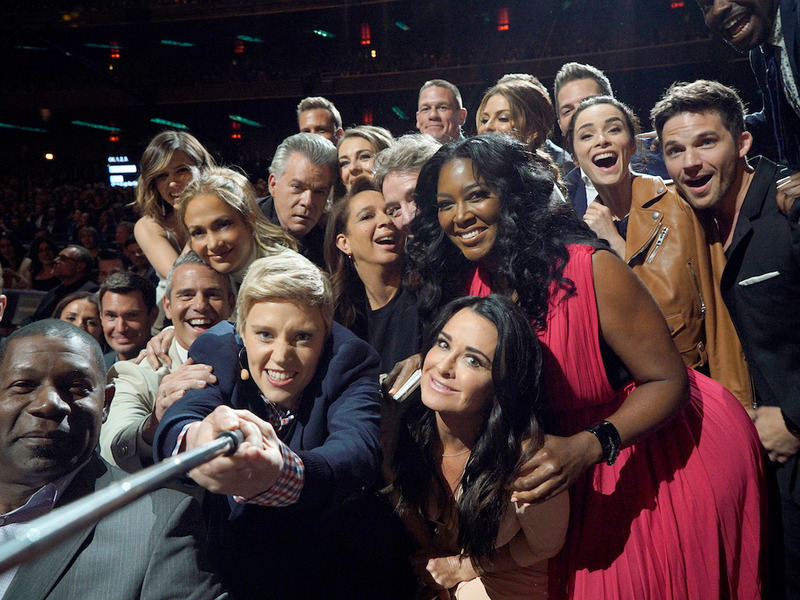 Paul Drinkwater/NBCUniversal‘SNL’s’ Kate McKinnon gathers NBCU stars to emulate Ellen DeGeneres’ Oscar selfie during upfronts on Monday. We’ve all done it. We’ve taken a quick selfie and posted it on Facebook or Instagram. We’ve checked in online to a retail store, maybe to access some sort of discount. We’ve tweeted about our experience at an amusement park, a restaurant, or a movie theatre. Well, it turns out that all that data adds up to more than just millennial chatter. Money managers are turning it into valuable information as they bid to get an edge and deliver investment returns. Legendary investor George Soros is back to making big bets, and Canada is really worried about a big part of its housing market. The secret to investing in hedge funds is to avoid almost all of them, and a dramatic shift is taking place in bond trading. Here’s what it’s like to get busted for insider trading, here’s how the world’s currencies got their names, and here’s the most popular college major for Wall Street. JPMorgan thinks everyone should read these 10 books this summer. And finally, an Ivy League professor explained chaos theory, the prisoner’s dilemma, and why maths isn’t really boring. Some bids for Yahoo are topping $5 billion – Some bids for Yahoo’s core business have come in “at or above” $5 billion, according to reports. There’s another banking crisis brewing in Europe and terrible mortgages are to blame – It has to do with Swiss franc-denominated mortgages. IEX CHIEF: Stock exchanges are overcharging investors by billions of dollars – Data is becoming big business on Wall Street. GOLDMAN: We don’t like what we see in the stock market right now Goldman Sachs is getting nervous about stocks. It’s never taken longer for US businesses to fill a job opening – Job openings in the US rose to a record 5.788 million in April. The biggest video game conference in the US is about to take place ― here’s what you need to know – The Electronic Entertainment Expo (E3) is next week, and the conference is often a huge marketing event for video-game companies. The McLaren 675LT is the supercar for lovers of high-tech and raw speed – McLaren builds supercars for people who love technology.